Hi everyone! 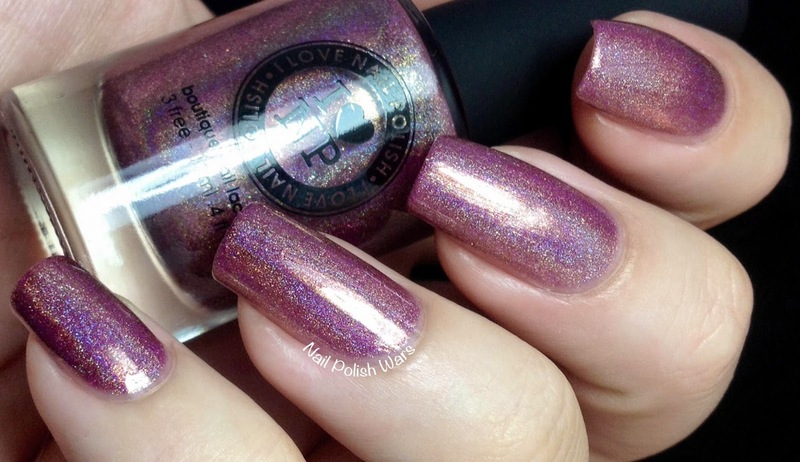 I have the upcoming Fall 2014 Collection from I Love Nail Polish for you today! 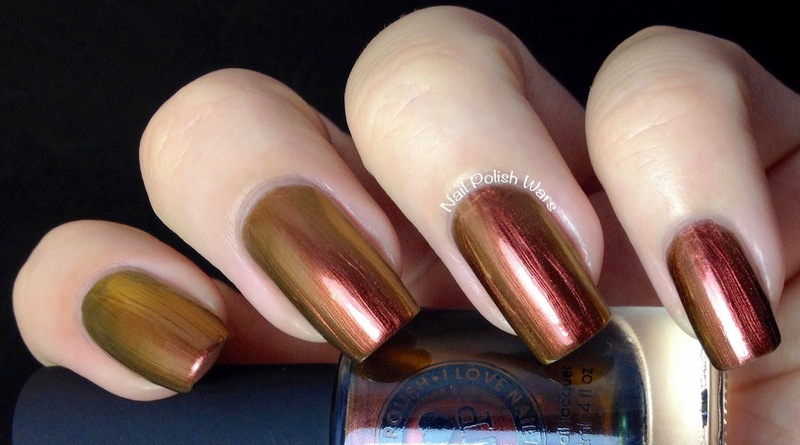 Abundance is a deep amber multi-chrome that shifts to red, orange, bronze, and golden olive. The formula was smooth and easy to apply. I love how vibrant this shade is, while still staying earthy. Shown is two coats of Abundance. Atomic Sherbet is a coral toned orange linear holographic with gold flecks. The formula was smooth and easy to apply, but was a little bit on the thinner side. This is such a fun and juicy shade! Shown is three coats of Atomic Sherbet. Bishop (H) is an olive linear holographic duo-chrome that shifts to gold. (This is the holographic version of the original Bishop.) The formula was smooth and easy to apply. I just adore this shade! Shown is two coats of Bishop (H). 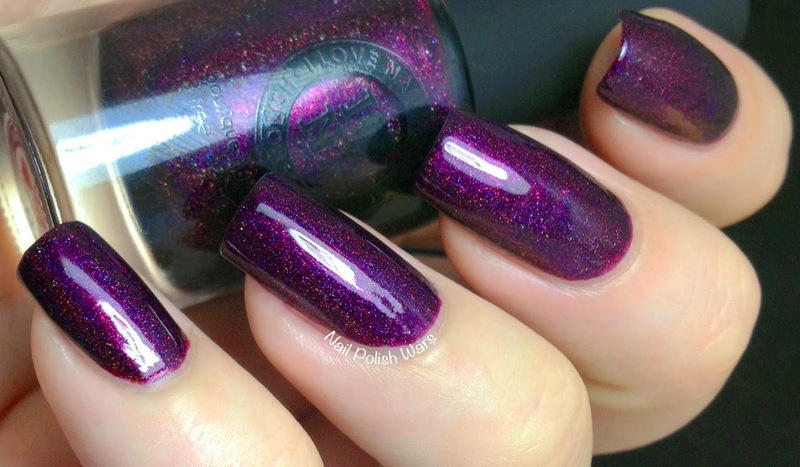 Black Orchid is a deep plum linear holographic with flecks of fuchsia and purple. The formula was smooth and easy to apply. I do not even have the words to properly convey the amazingness of this shade. It is absolute perfection!!! 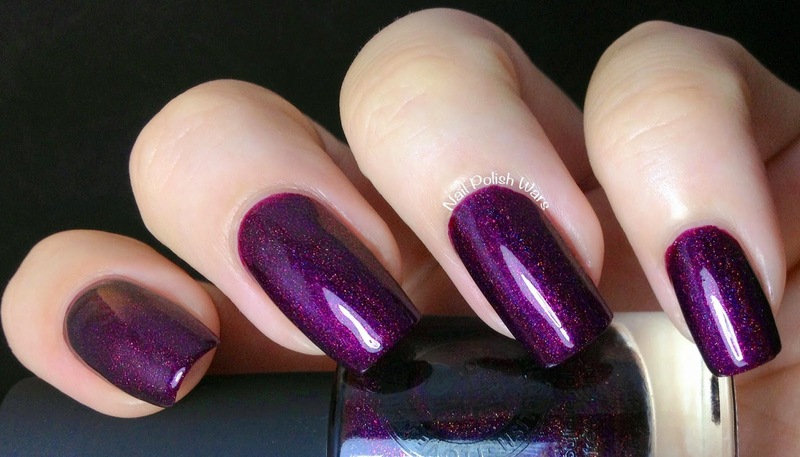 Shown is two coats of Black Orchid. Champagne Blush is a dusty pink linear holographic. The formula was smooth and easy to apply. I really like this shade. It has a bit of a muted quality to it that gives it a delicate edge. Shown is two coats of Champagne Blush. Fall Semester is a deep teal linear holographic. The formula was smooth and easy to apply. 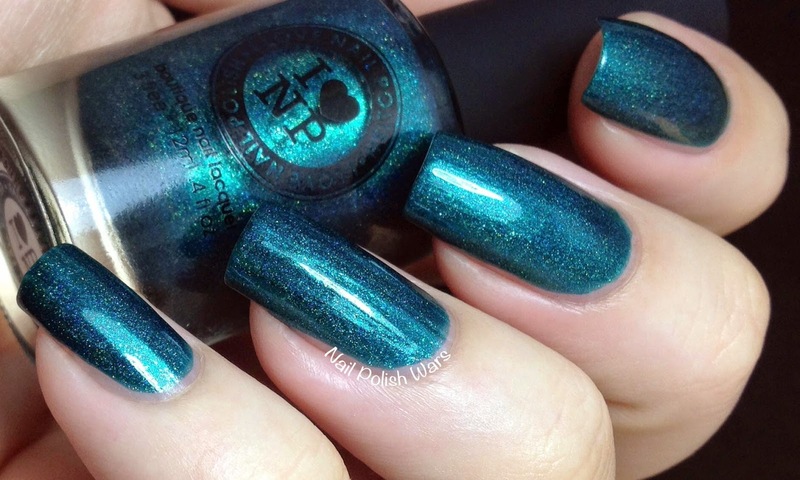 This shade has such great depth to it! Shown is two coats of Fall Semester. Homecoming is a deep purple linear holographic. The formula was smooth and easy to apply. This is such a stunner!! Shown is two coats of Homecoming! 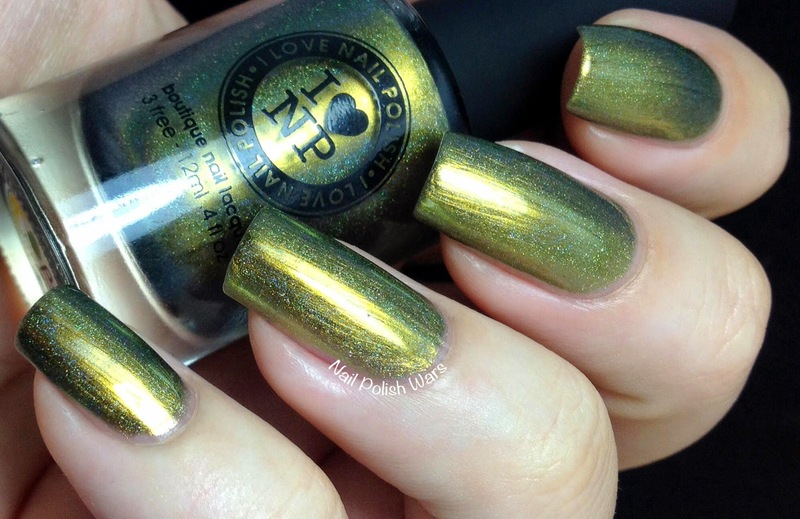 Iconic is a medium gold linear holographic. The formula was smooth and easy to apply. I adore this shade! It's so classy! Shown is two coats of Iconic. Peace (H) is an indigo linear holographic multi-chrome that shifts from blue, to plum, to fuchsia, to gold, to green. (This is the holographic version of the original Peace.) The formula was smooth and easy to apply. I am crazy about this one! The color shift is just incredible! Shown is two coats of Peace (H). 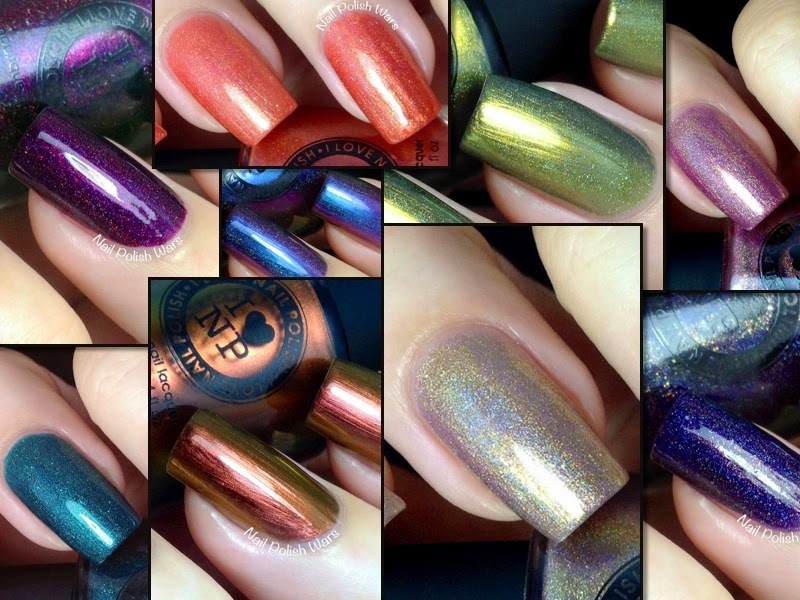 You can find these and other great I Love Nail Polish shades at their storefront here, and be sure to check them out on Facebook for all of their latest updates and collections. Too much gorgeousness in this post... the polishes and your nails!!! Abundance and Black Orchid would be my picks, but I pretty much love them all. Great swatches!